This summer definitely leaves some room for improvement – it has been like April since… April. 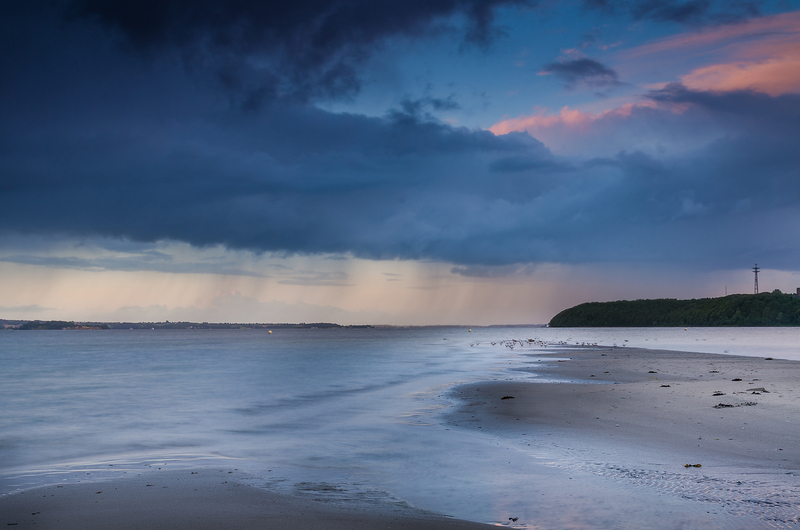 Tonight I went down to our local beach at Solitüde, hoping for some interesting colors in the ever-changing cloud formations. Sadly, the rain clouds dominated around sunset, but the atmosphere was very special anyway. Me alone in the rain, with dozens of seagulls.